For bands with multiple songwriters, it can be a challenge to create a compilation of songs that is coherent and cohesive. It takes a tremendous amount of trust and openness in order to incorporate the various ideas being presented. In some situations, it works, but even some of the great bands in history have broken up due to creative differences and other reasons. For Asheville, North Carolina quartet, River Whyless, they found themselves at a similar crossroad. With three gifted songwriters, the band had the challenge of merging the distinct styles and approaches into a single EP. 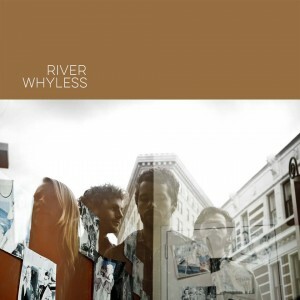 Sometimes, this formula could lead to disaster, but in River Whyless’ case it resulted in a superb effort and one that surpasses their debut album. Unlike A Stone, A Leaf, An Unfound Door that was steeped in traditional folk, the self-titled EP enthralls from start to end with its dreamy, indie-folk sound. It is also a tight and cohesive effort with each track complementing the next one, although one can hear the subtle differences between the songs. The hypnotic “Life Crisis” opens the album. With a throbbing bass drum and great harmonies, the track has elements of Edward Sharpe and The Magnetic Zeroes, but never going overboard and trying to hit a huge climax. Instead, it stays at just the right level to create a lush sound and a feeling that you’re in the Smoky Mountains of North Carolina. That feeling of peace and solitude is further reflected in the stunning “Maple Sap”. With subtly deep layers, the track has the allure one would find on a Fleet Foxes track. It is followed by the light-hearted “Bath Salt”. It verges closely to spoken word but retains a classic country-folk feel. The instrumentation truly stands out with the clean strumming of the acoustic guitar, the beautiful sounds of the violin, and the plucking of the stand-up bass. On “Miles of Skyline”, which shares similarities with the music of last year’s breakout, indie-folk band PHOX, the band brings us back to the edge of the city. With the combination of a quicker pace and the echoes of the violin, the track, both lyrically and musically, has the feel of the internal struggle of one seeking the excitement of the city or searching for solace of the countryside. In the end, one just needs to follow her heart. The closer, “Fine Companion”, has the personal touches of Phosphorescent. With each note played and each word sung, the track tingles the spine. It is a gorgeous, heartbreaking track – a song made for quiet times in front of the fire as one contemplates life and love. River Whyless is a triumphant EP in many respects – from its stunning five tracks to the accomplishment that Ryan O’Keefe (guitars, vocals), Halli Anderson (violin, vocals), Alex McWalters (drums, percussion), and Daniel Shearin (bass, vocals, harmonium, cello, banjo) have achieved by bringing together their different ideas and talents together. Helping them along was Kevin Ratterman of Louisville’s La La Land Studio (Andrew Bird, My Morning Jacket, and Ben Sollee). Ratterman’s knack for subtlety and nuance are heard throughout the album, which in turn has helped River Whyless create a deep, touching album. Purchase the EP at the River Whyless merchandise store, their Bandcamp page, iTunes, and Amazon. River Whyless have just kicked off a month-long tour with a handful of dates scheduled in April. See below for tour dates, and links to purchase tickets are also provided.